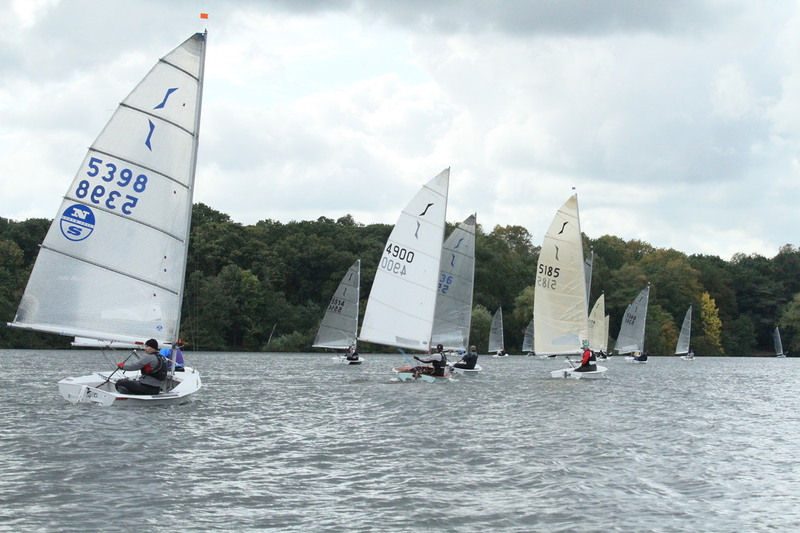 A total of 138 competitors sailed in 12 events, in the closely fought and highly enjoyable Solo Northern Series, which came to its finale on the 6th October 2018 at Budworth Sailing Club. It went right to the wire with either Steve Denison or Steve Graham still being able to win as they went into the last race. Now it was all on the last race with both Steve's close together again but this time it was Yorkshire dales, Tim Saddler again out in front showing his mastery of lake sailing and winning the last race to take the Budworth open. But who had won the series, with such a close series there was a long count back so it wasn't clear. The warmth of the bar and a well-earned beer for some was the venue for the prize giving for the events. All was revealed as the kindly donated prizes from Winder boats were handed out by the series organiser Phil Barnes for the 14 qualifiers. It had been a great series with numbers up and everyone agreeing the joint midland meetings at Carsington (2 consecutive events) Notts and Ogston being a great success. For big fleets, great venues and a friendly competitive racing throughout, this is a fantastic series to sail in. As to the winner, Burwain's Steve Graham had been able to retain his slim lead going into the last event and is this year's champion. And finally, a surprising result, showing the importance of qualifying, was the club prize for the best three results from a single club was narrowly taken from the three times back to back winners Burwain by Budworth (Phil Barnes, Ted Garner, Mark Cleary) – a popular call at the Budworth bar!